Desktop-quality image masking and editing tools. Pixomatic 3 ($5 on the iTunes Store) makes short work of the most thankless of all image editing tasks: Separating a foreground image from its existing background. Whether it’s repurposing an object in another design or creating double exposure effects, this universal app gets the job done with surprising accuracy. The big draw here is Photoshop-style smart cutout, making it easy to draw a rough outline around objects with your finger to cleanly separate them from the rest of an image. This works surprisingly well even on iPhone, because selections are augmented by a brush magnifier that appears while drawing on the screen. Once you’ve selected an object, refining the edges is a snap, even for fine details like hair. Although the app offers above average edge selection, no software is perfect. That’s where Fill and Erase come to the rescue, allowing users to clean up rough edges or fine-tune complicated areas. Once an object has been selected, adding one or more new foreground or background layers is a snap. Despite the complexity, Pixomatic does a good job of organizing tools smartly. The intuitive user interface consolidates options across the bottom of the screen, and there’s no complicated layer management. 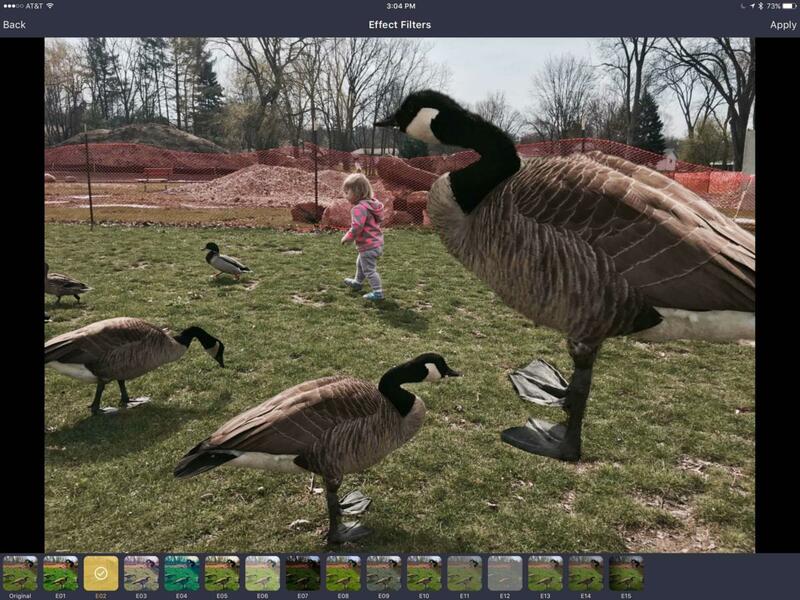 Just tap on an individual object or background to select it. A few quick in-app tutorials are all you need to get started. There’s a nice selection of Instagram-style filters, but they can only be applied to the whole flattened image. By far the most impressive addition to Pixomatic 3 is the Hair tool, which the developer bills as the first mobile solution to properly extract the fine details of a subject’s hair from the rest of an image. Curiously, the tool is found under the Refine tab, which means you’ll need to first perform the initial cutout, then add a new background before you can use it. This quirk aside, the Hair tool produces the kind of amazing results that make advanced image editing on mobile devices seem less like science fiction. Just be sure to use Hair before other refinements like edge smoothing, otherwise you’ll wind up having to repeat the adjustment again. Pixomatic isn’t just about compositing images. There’s a robust selection of other tools including Blur, Adjust, Blend, Text, Crop, Clone, Shadow, Perspective, and Flip. A handful of Instagram-style filters are also on hand, although they can only be applied to flattened images, not individual layers. 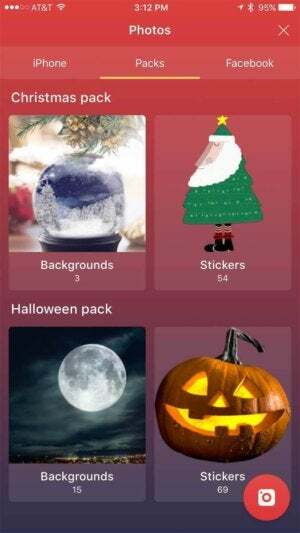 Pixomatic includes background and object packs for the holiday season, or you can create your own using the device camera. Although easily worth the asking price, it’s worth noting there are a few things absent from Pixomatic’s bag of tricks. 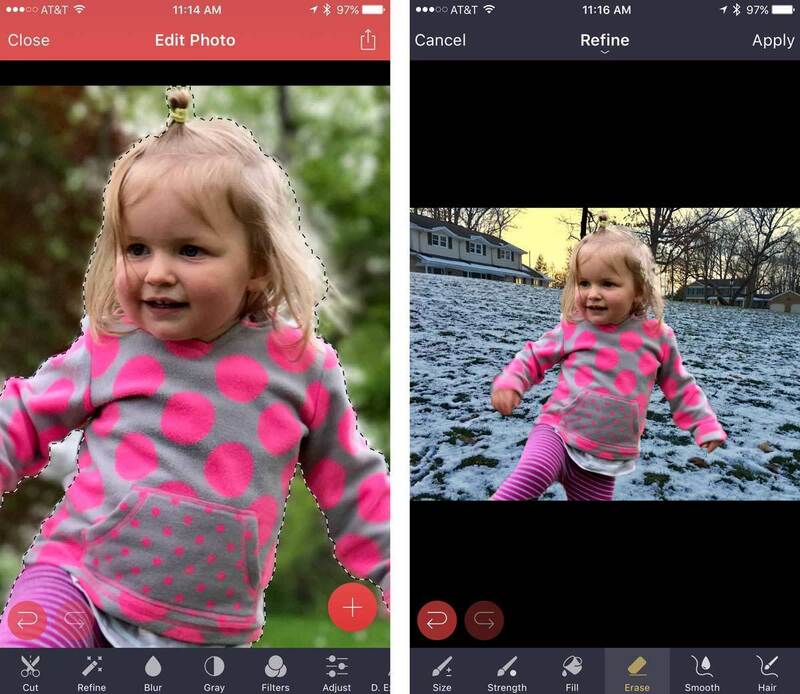 The app can’t be used to add grain, distress or otherwise age photos, and offers nothing in the way of healing tools. There’s also no way to save or open layered edit sessions, although you can export individual layers as a PNG file to reuse in the future. 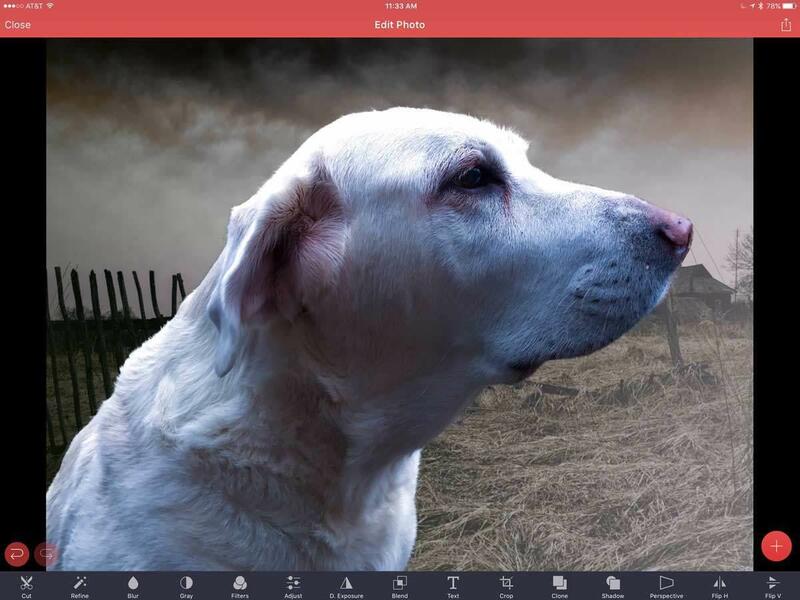 For extracting objects from images and repurposing them in a variety of different ways, Pixomatic 3 has no equal on smartphones or tablets.